they give you the power to reach a whole new level. 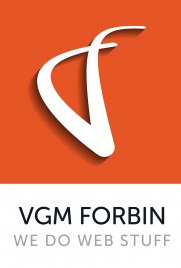 VGM Forbin specializes in bank & credit union websites, as well as search engine marking, social media marketing and more digital marketing tactics. Hellman’s expertise begins with strategy and branding, bringing these ideas to life through content, design, video and animation services. Strategic Imaging is a powerhouse for print, from targeted marketing and variable data printing to brochures and mail fulfillment. We are the coming together of three employee-owned marketing powerhouses united under our parent company, the VGM Group, Inc. Individually, we each specialize in various areas of marketing. Together, we cover everything from strategy and video to digital, print and more. Financial institutions nationwide count on us to provide powerful and creative marketing solutions that yield superior results. Let's give you the power to stand out in a highly competitive, rapidly-evolving market. Expanding your customer base . Growing share-of-wallet with your current customer base. Generating revenue through deposit and/or loan growth. Building customer relationships with relevant messaging customized to your target market. © 2019 VGM Forbin. All rights reserved.